CEO and founder RJ Scaringe unveiled two all-electric vehicles this week at the LA Auto Show that boast some eye-popping battery ranges, as well as some noteworthy performance and capability features. 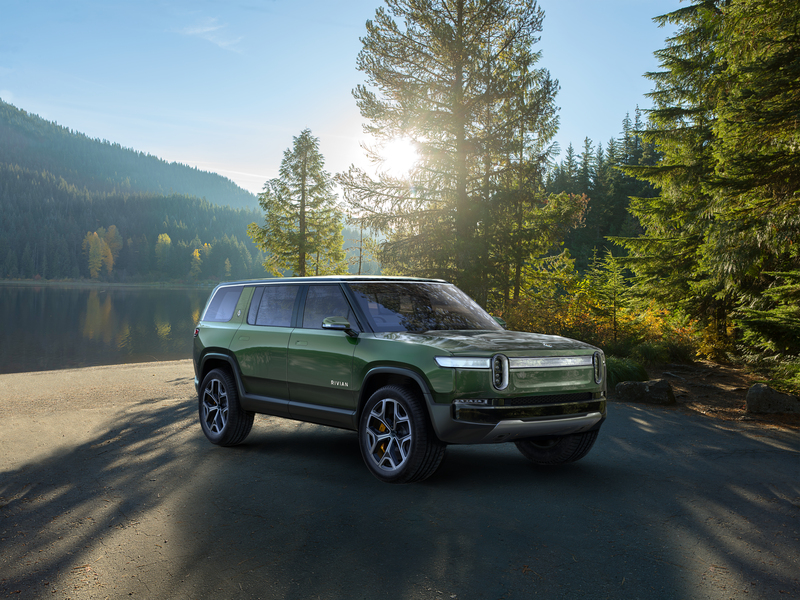 Rivian kicked off the week with a reveal of the R1T, a robust-looking five-passenger electric pickup truck. 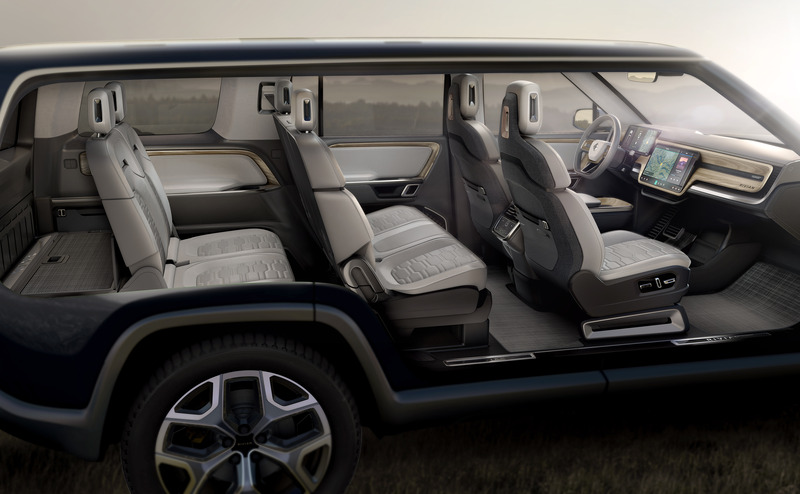 On Tuesday, Scaringe took it up a notch with the introduction of a seven-seater all-electric SUV. Customers will be able to pick from different battery pack configurations. 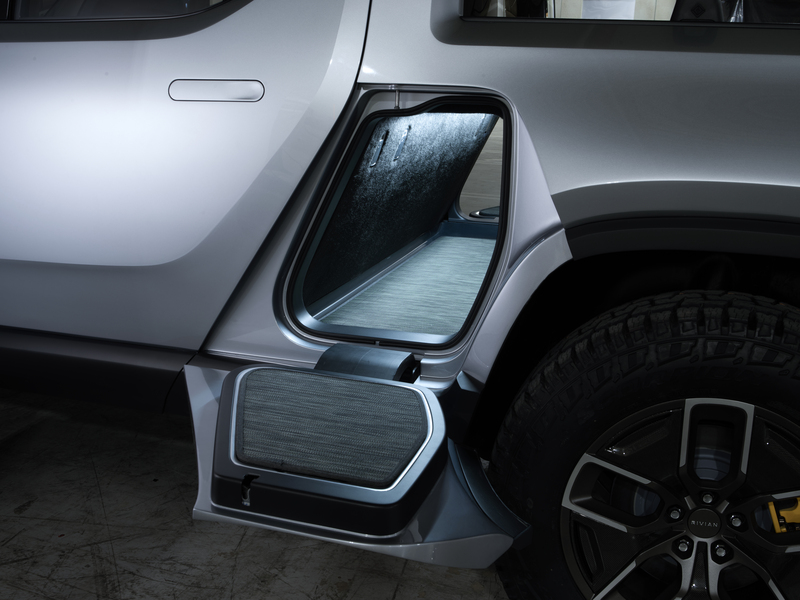 But in the beginning, Rivian will produce vehicles with the highest performance level and heftiest range first — a 180 kilowatt-hour capacity battery pack that can travel 410 miles on a single charge. A 135 kWh-pack will be available at launch, as well. A base model equipped with a 105 kWh-battery that gets more than 250 miles of range will follow in 2021, the company said. Both vehicles share the same “skateboard” architecture, which situates the battery in the middle of the vehicle in the floor. This low and central battery placement, similar to Tesla’s setup, provides that low center of gravity that helps deliver stellar handling on curvy roads. The high-performance versions of the vehicles will be able to travel from 0 to 60 miles per hour in three seconds and will reach top speeds of about 125 mph. The R1T pickup has a base price of $69,000 before the federal tax credit. The R1S SUV starts at $72,500. Customers can pre-order the vehicles with a refundable $1,000 deposit. Both vehicles will be produced at Rivian’s manufacturing facility in Normal, Illinois at a former Mitsubishi facility. The vehicles boast other features meant for the adventurous, including the ability to wade in up to three feet of water, lockable storage bins for gear, a gear tunnel (who wouldn’t want that) and a quad-motor all-wheel drive. That last item is worth digging into. The company has grown and changed since it launched almost a decade ago in Florida under the name Mainstream Motors. Rivian, a name it adopted in 2011, is no longer in Florida, and it’s much bigger these days. The company has about 600 employees split between four development locations in the U.S. and an office in the UK. The bulk of its employees, about 300, are in Michigan to be close to an expansive automotive supply chain. The company also has operations in San Jose, California and in Irvine, California, where engineers are working on autonomous vehicle technology. Rivian purchased in 2017 the Normal, Ill. factory, which was where Mitsubishi in a joint venture with Chrysler Corporation called Diamond-Star Motors produced the Mitsubishi Eclipse, Plymouth Laser and Dodge Avenger, among others.